I’m starting to realize that I like what Jinder Mahal could be as WWE Champion, rather than what we’ve been given in reality. 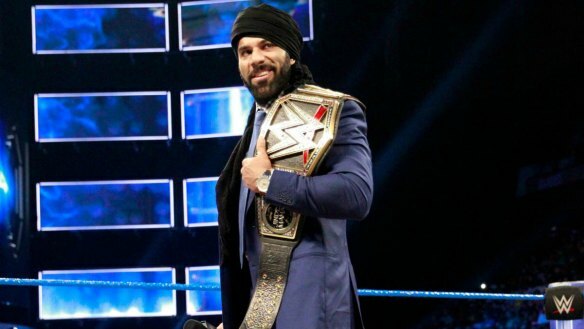 When Jinder got his big push, I think a lot of us remembered Muhammad Hassan, the Arab-American character WWE created a few years after 9/11. He would accuse both the fans and other wrestlers of persecuting him because of his ethnicity. He wasn’t the most polished guy in the ring or on the mic, but the act got plenty of heat. It lasted about a year, ending when WWE took things too far in an angle that happened to air after the London bombings of 2005. Hassan was erased from WWE television shortly afterward. I get the sense that’s the vibe they were going for with last week’s racially charged promo. Obviously they missed the mark pretty badly, opting for racial jokes as opposed to character-driven heat. The world is a very different place in 2017 than it was in 2004 and 2005. We’re all much quicker and easier to offend. Realizing this, they seem to be tempering Jinder’s material, trying not to cross a certain line. So what we have here is a foreign menace heel that can’t fully play that foreign menace role for fear of offending people too much. Ironically, that led to them pushing the envelope in the wrong direction, garnering exactly the kind of outrage they were trying to avoid. 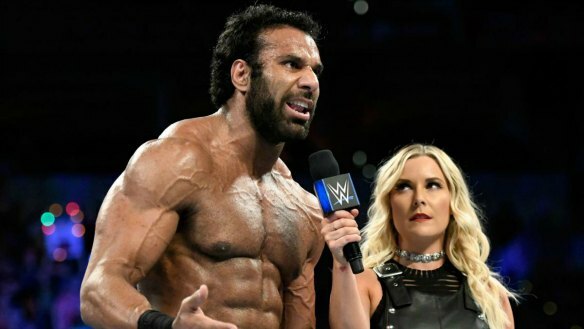 So is it time to call the Jinder Mahal experiment a failure? Neither his matches nor his promos have been lighting the world on fire. They don’t seem to trust him to hold main event timeslots on Smackdown anymore. He also has hardly any chemistry with Shinsuke Nakamura, who he’s wrestling at Hell in a Cell. I keep holding out hope that there’ll be a sudden breakthrough with Jinder. That he’ll suddenly find that right opponent or have that great promo. But at this point, maybe the best thing for him would be to take a step back and work on his character. After all, it’s not like he had a lot of time before being thrust into the spotlight. 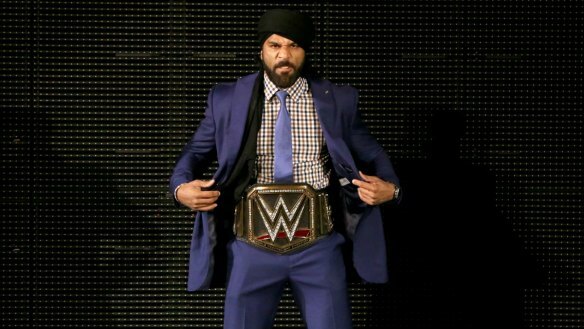 The Jinder Mahal experiment happened pretty fast. But it’s not too late for it to work. Sami Zayn tries to talk sense into Kevin Owens. A match is made between the two for later in the evening. At one point, what we were seeing on WWE TV was dubbed the “Reality Era.” It was just a gimmick, of course. For the most part, there was nothing more real about what we were seeing than any other point in the company’s history. But considering the content of the promos we’ve been seeing lately, we may be in the middle of a miniature reality era right now. Consider what we’ve seen lately. The stuff between John Cena and Roman Reigns was very insider-oriented, with lines about Roman’s real-life drug test failure, Cena’s Hollywood priorities, etc. You’ve got people on TV talking about how annoying Enzo is backstage. Hell, Miz and Maryse even announced their very real pregnancy on the air. 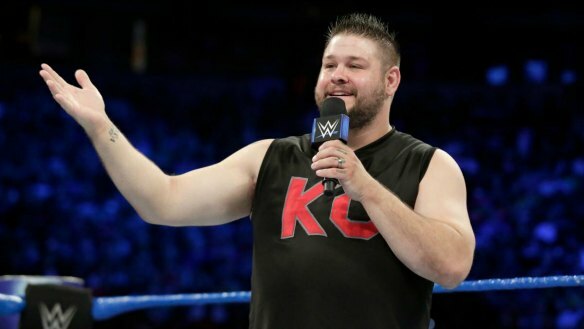 And then there’s this segment with KO and Sami Zayn, which illuminated what appear to be legit frustrations Sami has over his position on the card since coming to Smackdown. He and Daniel Bryan even had a little Twitter exchange about that recently. You can debate the how “real” some of this stuff really is. But here’s the thing: Even if Sami isn’t really upset about his push, the story is somewhat based in reality. Sami hasn’t been featured prominently on Smackdown, and he’s never been a champion on the main roster. It’s something tangible that people have seen with their own eyes. It’s better storytelling. It’s an improvement. Baron Corbin def. Tye Dillinger by count-out. 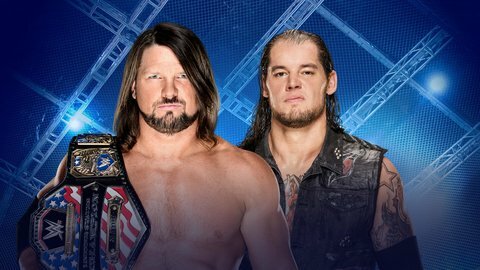 So we’ve got AJ Styles vs. Baron Corbin at Hell in a Cell for the US Title. 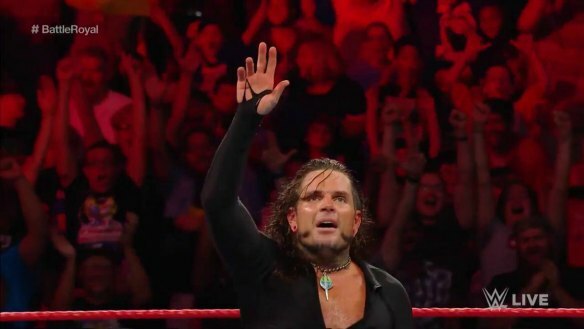 I don’t really have a strong opinion on Corbin being the US Champ. And perhaps that’s enough of a reason not to put it on him. For now, Styles is just fine with it. Jinder Mahal cuts another promo on Shinsuke Nakamura. 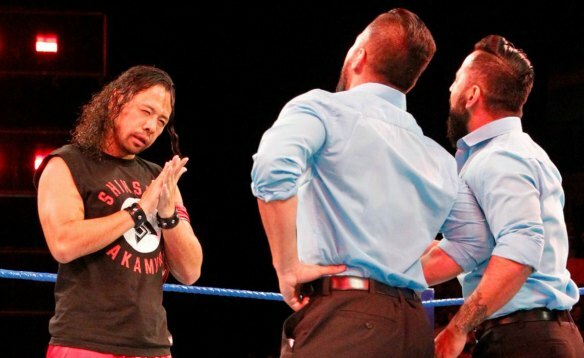 Nakamura finally gives Mahal and the Singhs their comeuppance. 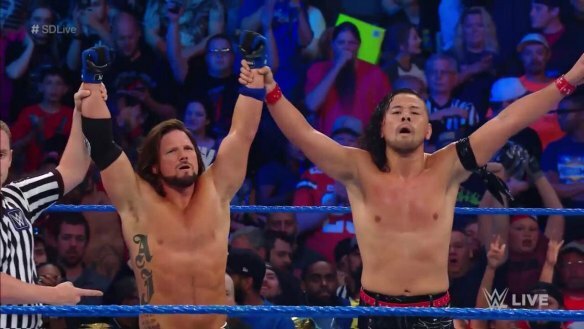 At the very least, the people were happy to see Nakamura finally come out and destroy these guys. There’s still not much heat or chemistry between them. But it was a nice moment. The Usos def. The Hype Bros. 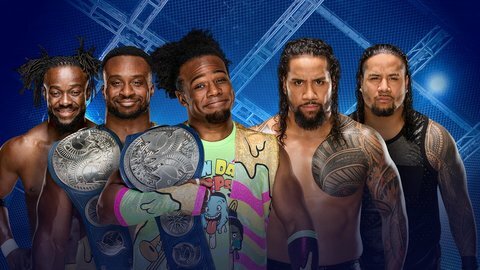 The New Day to defend against the Usos inside the cage at Hell in a Cell. Well, at least we’re getting a Cell Match between these guys. 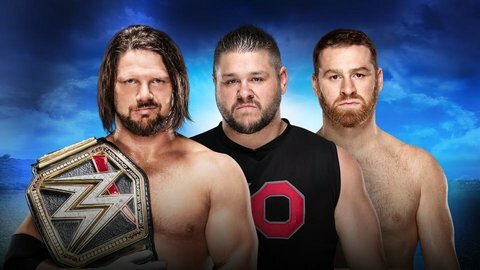 While the Kevin Owens and Shane McMahon are fine for the cage, this Tag Team Title Match should not only be the only Cell Match on the card, but should be the main event. 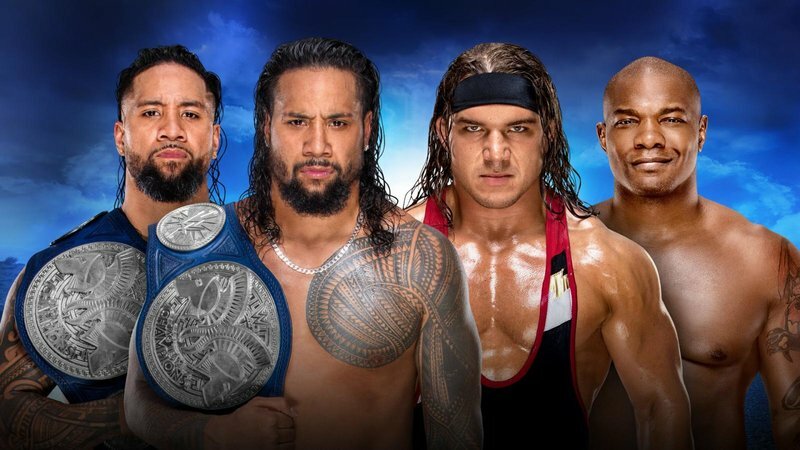 The New Day and the Usos have earned it. Rusev’s promo wasn’t amazing. But does anyone honestly think he wouldn’t be a better WWE Champion than Jinder Mahal? Mind you, I say that as a Jinder fan. Charlotte Flair def. Carmella. I’m not really into inter-gender wrestling, but somehow the idea of Charlotte wrestling James Ellsworth amuses me. I’m sure the match would be abhorrent. But the visual is interesting. 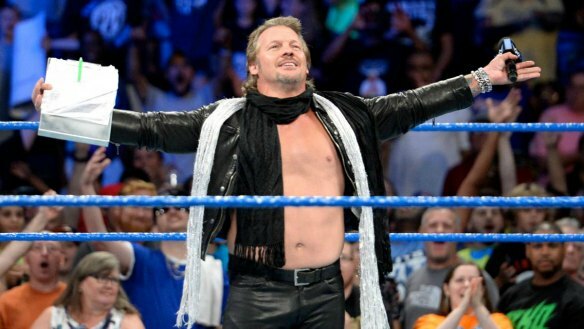 Dolph Ziggler impersonates the Undertaker. 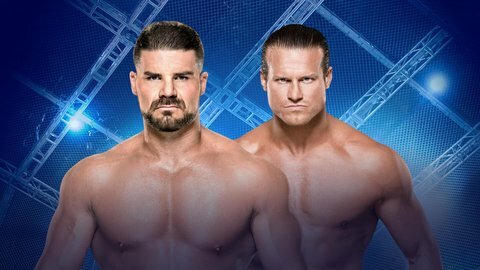 Bobby Roode challenges Ziggler to a match at Hell in a Cell. And so we get the match we all knew this was building to. Incidentally, Dolph Ziggler vs. Undertaker? I’m game if they are. Kevin Owens def. Sami Zayn via match stoppage. 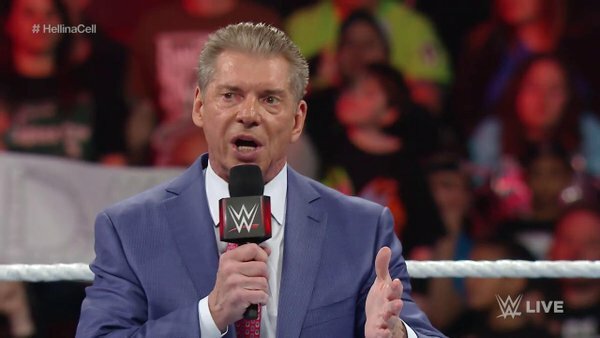 Shane McMahon comes after Owens. I still hate the hockey fight spot. Probably always will. On the flip side, that suplex Zayn gave Owens on the apron was sick. These two are always great in the ring. It’s simply about the law of diminishing returns. We’ve seen these guys wrestle so many times that it can become boring if we see it too much in a given timeframe. They used to wrestle all the time on Raw. But if I’m not mistaken, this is the first time they’ve wrestled one-on-one on Smackdown. So I’ve got no complaints here. 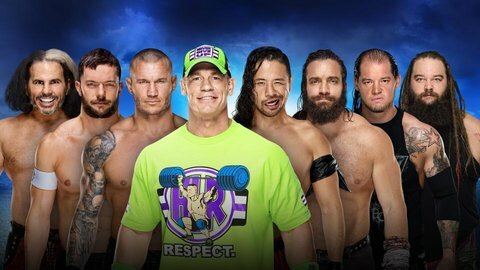 This entry was posted in Uncategorized and tagged #SDLive, Aiden English, Baron Corbin, Bobby Roode, Carmella (WWE), Charlotte Flair, Dolph Ziggler, James Ellsworth, Jinder Mahal, Jinder Mahal WWE Champion, Kevin Owens, Kevin Owens vs. Sami Zayn, Muhammad Hassan, Randy Orton, Rusev, Sami Zayn, Shinsuke Nakamura, The Hype Bros, The New Day, The Singh Brothers, The Undertaker, The Usos, Tye Dillinger, WWE Hell in a Cell, WWE Hell in a Cell 2017, WWE news, WWE reviews, WWE rumors, WWE Smackdown, WWE Smackdown Live, WWE Smackdown Results on 09/28/2017 by primaryignition. Can you really blame Rusev for wanting out of WWE? At least that’s the rumor. Allegedly, the “Bulgarian Brute” is frustrated with how he’s being used lately, and even went as far as to ask for his release. That sounds familiar, doesn’t it? It’s the same reason Cody Rhodes left. Ditto for Ryback, Wade Barrett, and a few others on a list that’s growing longer and longer as time goes on. 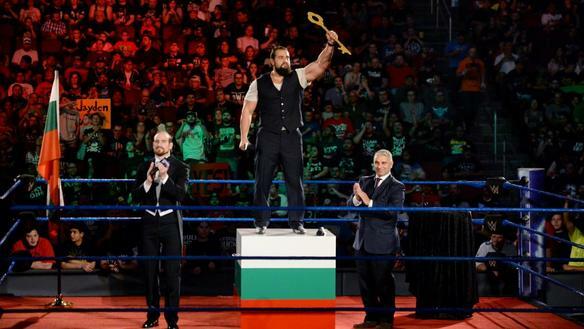 It’s not like there isn’t a precedent for Rusev playing a more prominent role. He’s worked with both Roman Reigns and John Cena on major pay per views. You can throw Randy Orton on that list too, despite their Summerslam match lasting all of 10 seconds. Considering where he’s been, it’s understandable that he’d be frustrated with where he is now. Because these days Rusev is just…there. He’s an established heel for babyfaces to beat as they build momentum toward a bigger match. 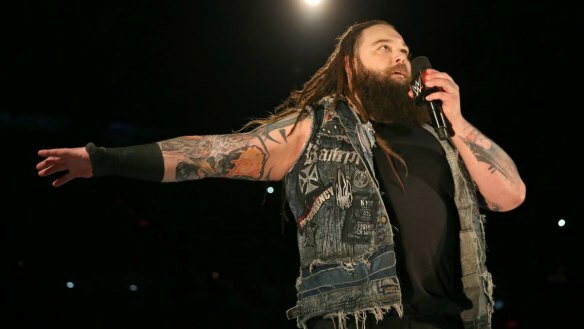 Has he reached his ceiling in WWE for the time being? Is he better off leaving and building on his reputation elsewhere? Rusev has never been a top guy. I don’t know how much value he has in terms of being a marquee babyface. But he’s got a hell of an upside as a menacing monster heel. He looks the part, he’s got a good amount of charisma, and he’s more than capable in the ring. He’ll ever be a Roman Reigns type of star. But he deserves bigger opportunities than he’s being given right now. And he can get them. WWE may be reluctant to grant Rusev his release, given how it would effect his real-life wife Lana. But if the real-life Miroslav Barnyashev (What a name…) and Catherine Perry get a chance to shine outside the WWE bubble, they should take it. There’d be no shortage of wrestlers willing to step up and take Rusev’s spot. And as we’ve seen numerous times already, a WWE run can be just as good, if not better, the second time around. This was not good. Nakamura was apparently supposed to knock the Singhs aside and get to Jinder. But he just gave them a little push, and they just jumped out of the way. The Singhs were way too cartoony here, like henchmen on the ’60s Batman show. Brutal. 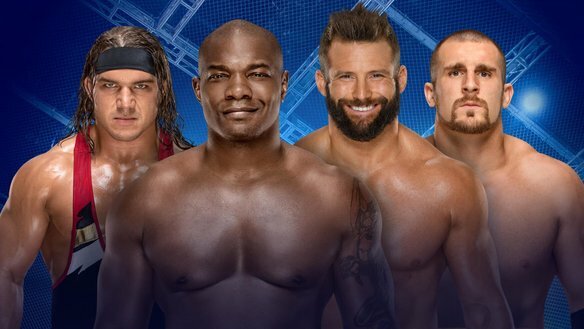 Shelton Benjamin and Chad Gable def. The Ascension. Benjamin looked as good as he’s ever been. Once he and Gable get over to teams like the New Day and the Usos, we could see some really amazing stuff. Hearing JBL call an Ascension match in 2017 is interesting, considering he buried them so much on commentary when they first came up to the main roster. He really damaged them, seemingly beyond repair. A repackaging could help these guys. But for now, they’re more dead than disco. Tye Dillinger answesr AJ Styles’ United States Championship open challenge, despite being attacked by Baron Corbin beforehand. Styles gets a quick win with the Calf Crusher. While there’s no shame in losing to AJ Styles, I continue to be disappointed in how WWE is using Tye Dillinger. There’s something there with him. But he’s become just another guy on the roster. So AJ’s next program is indeed going to be Corbin. The match between Corbin and Nakamura may have crapped the bed. If anybody can give him a good match, it’s Styles. Kevin Owens interrupts Aiden English to badmouth Shane McMahon. 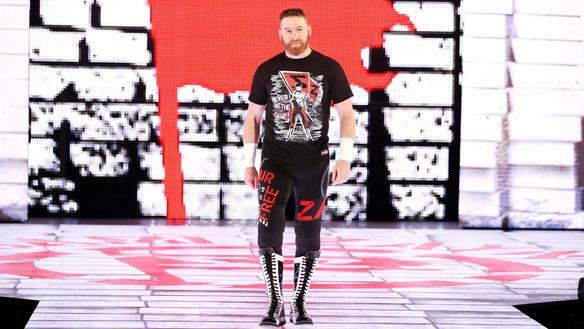 After responding, Shane sends Sami Zayn out to face English. Owens makes himself the referee, Powerbombs Zayn to give English the win. When Zayn’s music hit, I thought for sure we were getting him against KO. Have we seen these two go one-on-one since they came to Smackdown? I don’t think they have. That’s shocking, considering how often we used to see it on Raw. The Usos def. The New Day, will decide the stipulation for the Tag Team Title rematch. I wish they wouldn’t keep giving this match away on free TV. On the Summerslam pre-show these guys proved they deserve to perform on the big stage. They shouldn’t diminish them by simply throwing them out there week after week. This was decent. Obviously not as good as the Summerslam match. But it wasn’t meant to be. Interested to see what they do with the stipulation. As I said last week, they should really put these guys in Hell in a Cell. But I doubt they can wait that long. He’s never seen two people who can’t wrestle before? Is that what he means? It must be. Randy Orton and Shinsuke Nakamura def. Jinder Mahal and Rusev. Orton hits the RKO on Nakamura after the match. Orton and Nakamura to wrestle next week to determine top contender for WWE Title. Pretty standard stuff here. And of course, Rusev took the fall. The upside? They didn’t pin Jinder again. 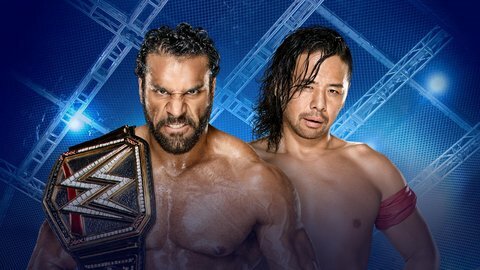 The obvious direction for them to go is Jinder against Nakamura inside Hell in a Cell, the idea being the cage will keep the Singh Brothers out. But that program doesn’t deserve the cell. 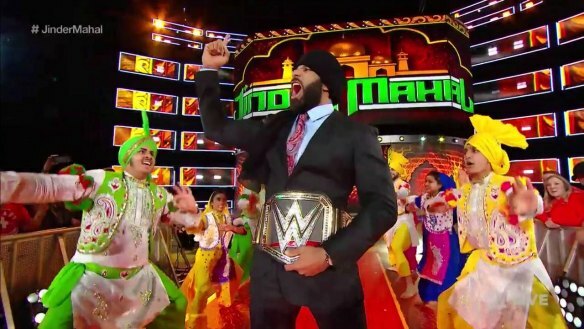 Plus, while I like what they’ve done with Jinder, his pay per view matches haven’t exactly been stellar. How much he’s to blame for that is up for debate. But he’s not ready for Hell in a Cell. Frankly, I’m not sure Nakamura is either. One way or another, we’re probably going to find out. This entry was posted in Wrestling and tagged #SDLive, Aiden English, AJ Styles, Baron Corbin, Bobby Roode, Chad Gable, Jinder Mahal, Jinder Mahal WWE Champion, John Bradshaw Layfield, Kevin Owens, Lana (WWE), Mike Kanellis, pro wrestling, professional wrestling, Randy Orton, Rob Siebert, Rusev, Sami Zayn, Shane McMahon, Shelton Benjamin, Shinsuke Nakamura, Tamina Snuka, The Ascension, The Singh Brothers, Tye Dillinger, WWE, WWE Smackdown, WWE Smackdown Live, WWE Smackdown Results on 08/30/2017 by primaryignition. 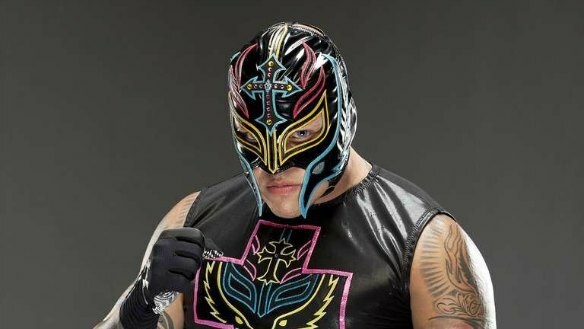 Rey Mysterio Jr. reportedly not returning to WWE. The company reportedly passed on Rey because they weren’t interested in working with Konan, who is part of Rey’s representation. It’s no big loss or gain either way, as far as I’m concerned. No disrespect to Rey. But at the end of his WWE run he simply wasn’t the same caliber a performer. That’s what age and injury will do to you. I understand the impulse to use a big name like Rey to appeal to the Latin market. But they don’t need him to do that, do they? I’ve always wondered why they didn’t plug Kalisto into that spot. Granted, Kalisto’s not much of a talker. But Rey never was either. Becky Lynch and Cris Cyborg create Summerslam buzz. UFC Women’s Featherweight Champion Cris Cyborg has been sparring with Becky Lynch on Twitter, supposedly to create buzz for a Summerslam match. Uh huh. Sure. They’re going to book a match with a big name UFC star this close to the event. And that’s assuming she’d even get clearance from UFC to do anything physical. Would I like to see it? Sure. But I’ll believe it when I see it. 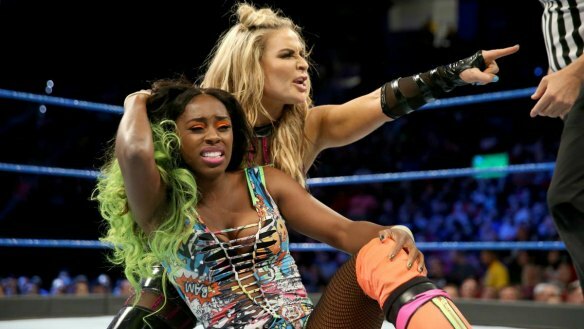 Global Force Wrestling Women’s Champion Sienna calls Charlotte Flair out on Twitter for copying her look and pinky finger mannerism. Again with the Twitter drama. I had never heard of this woman until I caught wind of this. I’m sure she’s talented and everything. But…is she for real with this? I’m sure Sienna is an awesome wrestler. I wouldn’t know, as I’ve never seen her. And with all due respect, I’m pretty sure Charlotte hasn’t either. So let’s cool our jets and not go to war over coincidences. In an era where so much of what we see is scripted, Cena’s ad-libbing is usually really refreshing. Now fans get the pleasure of chanting “Dumpster Fire” at Baron Corbin. (They should have chanted it at that Punjabi Prison Match.) Imagine how many cool moments like that we’ve missed over the years because of over-scripting. The Usos def. Sami Zayn and Tye Dillinger. The New Day return to beat down their Summerslam challengers. Fun to see the New Day show a little more of an edge as they attacked the Usos. 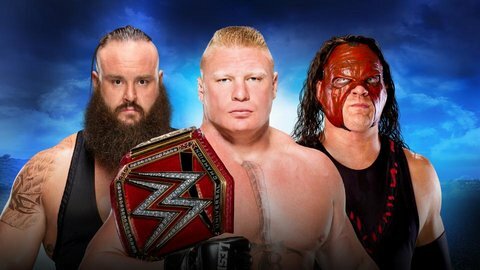 Now if only the rubber match at Summerslam was a Street Fight or something, and not just another match. Charlotte Flair def. Lana. The story of this match was supposed to be about Charlotte outdoing Lana at every turn. And yes, hey gave us that. But it ultimately became about Charlotte’s wardrobe malfunction. Yep. Her tights got pulled down a bit. That happened. Shane McMahon brings AJ Styles and Kevin Owens to the ring to set the record straight regarding Summerslam. Shane accidentally takes a Pele Kick from Styles. I’d love to know what percentage of my brain is made up of useless pro wrestling trivia. When Kevin Owens referenced Shane having refereed before, my mind immediately jumped to the moment from Survivor Series ’98 that they ended up showing. I can’t decide whether that’s quirky or sad. Carmella def. Naomi in a non-title match with help from James Ellsworth. Natalya is the one challenging for the belt at Summerslam. But between Carmella having the Money in the Bank briefcase, the alliance between Lana and Tamina, and the ever-present Charlotte and Becky Lynch, Nattie is almost an afterthought. I’m a Natalya fan, but this almost feels like a pre-show match. Also, can we get Ellsworth an acting coach or something? He was awful in that backstage segment with Nattie and Carmella. Shinsuke Nakamura talks to Renee Young about his WWE Title Match at Summerslam. Not to overstate my point on the whole scripting thing, but one of the biggest drawbacks of not letting the wrestlers speak for themselves is that they all end up saying the same things. That stuff Nakamura said about Cena being the measuring stick of WWE and being a 16-time champion was all fine in theory. But the actual structuring of his verbiage made it come off phony. Something about him using that measuring stick expression just didn’t feel right. On the upside, his English was fine as a whole. I didn’t have any trouble understanding him. Doing this in a pre-tape was smart. Nakamura might be like Brock Lesnar, in that when he has to talk, it’s better not to put him out in front of the crowd. Randy Orton def. Jinder Mahal in a non-title match. Rusev jumps Orton afterward. I’d forgotten Jinder is Canadian. That Toronto crowd reminded me real quick. What else would you expect from the city that booed Bayley? Very surprised to see Jinder lose clean here. I assume this was done to make him look beatable for Nakamura at Summerslam. I just hope they don’t use this match as an excuse to give us more Orton/Mahal matches. The fairly quality of their pay per view encounters notwithstanding, Orton did what he was supposed to do and put the new star over strong. Now onward. 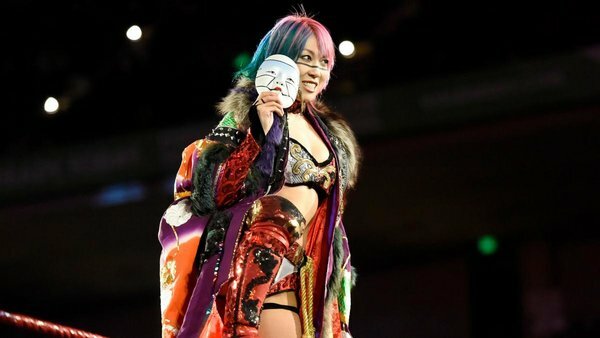 This entry was posted in Wrestling and tagged #SDLive, AJ Styles, Arn Anderson, Baron Corbin, Becky Lynch, Carmella (WWE), Charlotte Flair, Cris Cyborg, Daniel Bryan, James Ellsworth, Jinder Mahal, Jinder Mahal WWE Champion, John Cena, Kalisto, Kevin Owens, Lana (WWE), Naomi (WWE), pro wrestling, professional wrestling, Randy Orton, Renee Young, Rey Mysterio Jr., Rusev, Sami Zayn, Shane McMahon, Shinsuke Nakamura, Sienna (GFW), The Fashion Files, The New Day, The Usos, Tom Phillips, Tye Dillinger, UFC, wardrobe malfunction, WWE, WWE Smackdown, WWE Smackdown Live, WWE Smackdown Results, WWE Summerslam, WWE Summerslam 2017 on 08/09/2017 by primaryignition.